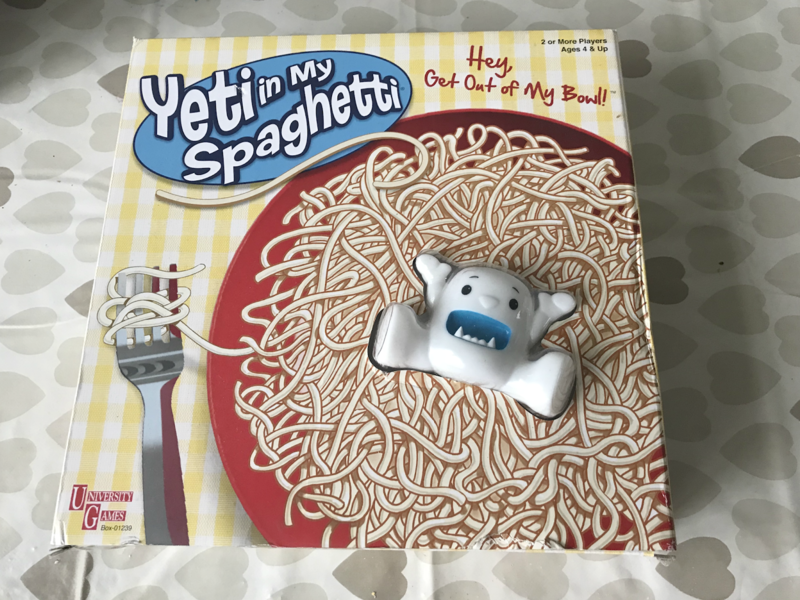 Yeti In My Spaghetti is suitable for children aged 4+ and has an RRP of £19.99 and is for 2 or more players. 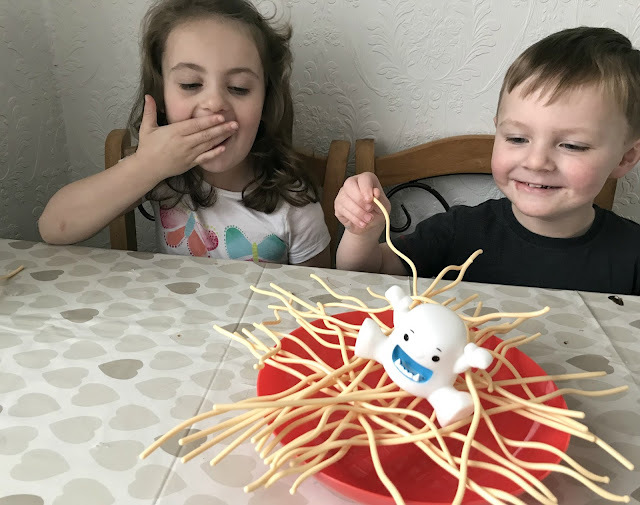 This game is as crazy as it sounds .... take turns to carefully pull away the squiggly spaghetti sticks from the bowl, but be careful not to let the Yeti that is sat balancing on top tumble into the bowl. The player who makes the Yeti fall is the loser. 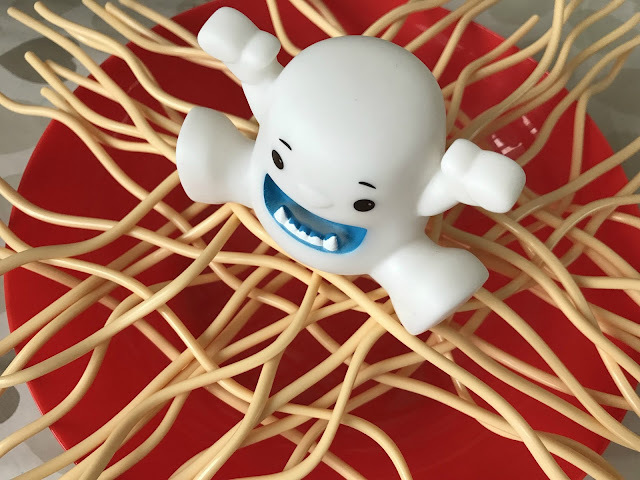 Setting up this game was really quick and easy and the rules are simple, take turns pulling a spaghetti stick and whoever knocks the Yeti who is balancing on top of the pile of spaghetti off loses. 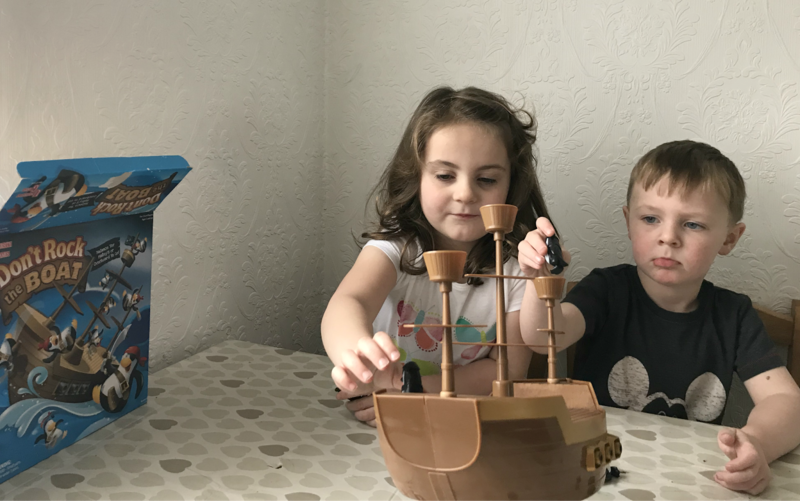 The game is recommended for children aged 4 + but my 3-year-old son loved this game as much as his four-year-old sister and had great fun playing and understood the rules. My children have loved playing this game together and can play it on their own. It is great for turn-taking and it kept my children entertained and resulted in lots of laughs from them both. This game gets a big thumbs up from us as it is ideal for younger children a similar age to my own. You can buy Yeti In My Spaghetti from Amazon, Smyths and leading toy retailers for around £12.50 at the moment. Don't Rock the Boat is for children aged 5+ and has an RRP of £14.99 and is for 2-4 players. Fancy yourself the challenge of balancing a crew of 16 pirate penguins? Take turns to balance the pirate penguins on the ship without making it tip! Again this game was really easy to set up and my three and four years old both loved playing it despite being under the recommended age limit. I had to help them set the boat up and then once set up you take it in turns balancing a pirate penguin on the boat without tipping the boat over. 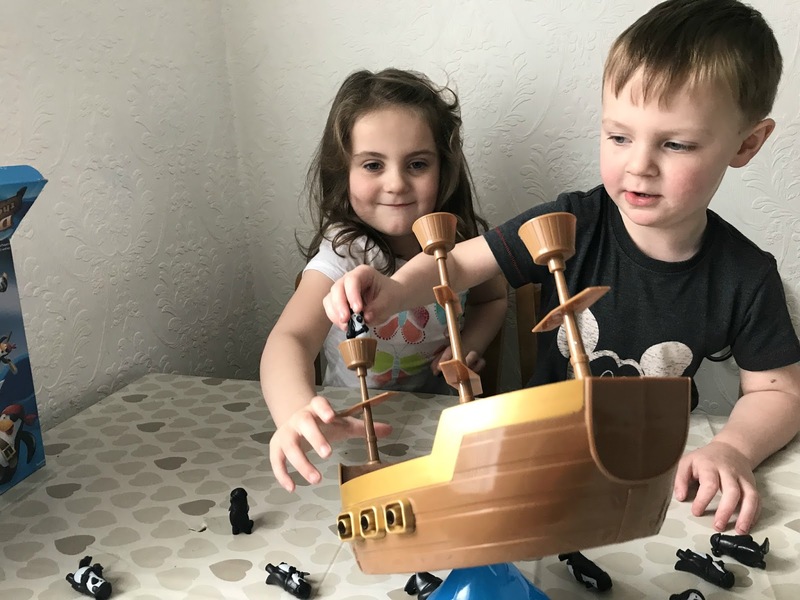 My children did find it challenging balancing the penguins but they still found the game fun and had fun attempting to balance the penguins on the boat. 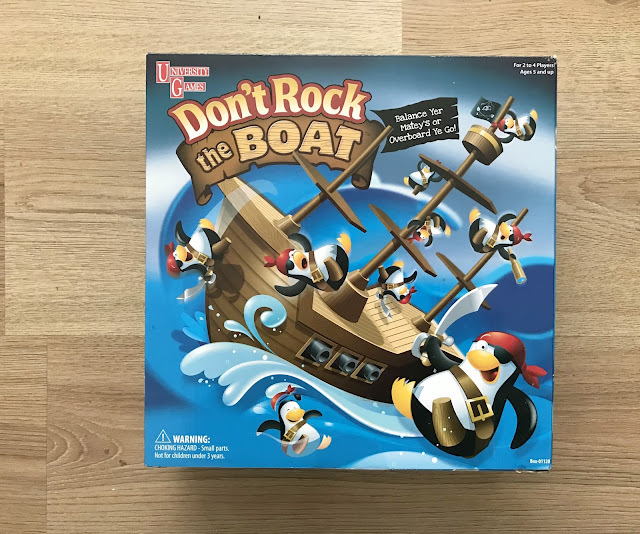 You can buy Don't Rock The Boat from Argos, Amazon and leading toy retailers for £14.99. My children really enjoyed both of these games and they have certainly kept them occupied while we have been stuck indoors with chicken pox. They would make a great gift idea for any child and will be a great addition to any family game collection. Disclosure we were sent these games for the purpose of this review, however all opinions are my own.